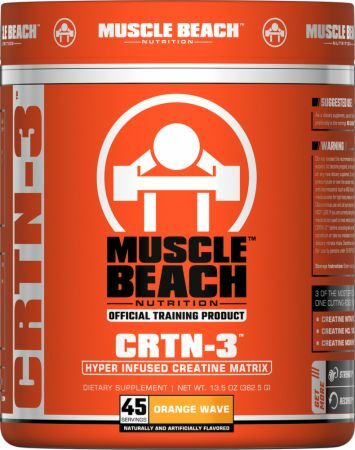 Muscle Beach Nutrition CRTN-3 at Bodybuilding.com - Best Prices on CRTN-3! 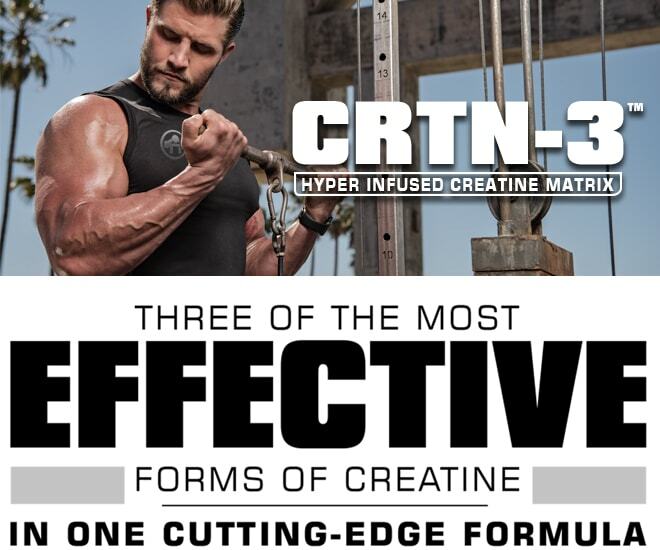 CRTN-3™is the first-time fusion of Creatine Nitrate, Creatine Hydrochloride, and Creatine Monohydrate, along with our Hydro-GO™ electrolyte matrix, will help you push harder, get stronger, recover quicker, and reach your goals faster than ever before. 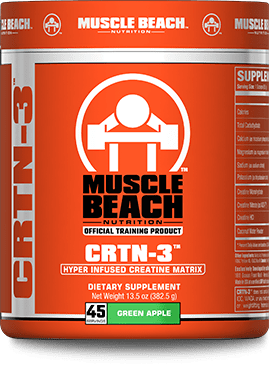 * Experience the progress with every rep.
CRNT-3™ does not contain any substance banned by the NCAA, IOC, WADA, or any mixed martial arts, bodybuilding, powerlifting, or weightlifting federation, or by the U.S. Armed Forces. All Muscle Beach Nutrition™ products are tested at the toughest proving ground in the world, the legendary epicenter of strength and fitness - California's Muscle Beach Venice Gym. When it comes to supplementation, our elite athletes know that Muscle Beach Nutrition™ is the only name you can trust to deliver the most cutting-edge, innovative, and highest quality products. Green Apple and Orange Wave both taste great, they lack that plastic-y, preservative-y taste that you get in Cell Tech. It also helps that this product dissolves almost instantly (I mix with room temp water and use a spoon to stir) so you're not left with any clumps or floaty bits. Performance wise, you definitely still feel the creatine pump just the same as you would taking pure monohydrate - plus the electrolyte blend is A++. It also DOES NOT sit in your stomach like monohydrate so you can take it on an empty stomach, it goes down real easy. Just an awesome product in terms of experience and value. I switched over from Cell Tech and I'm never switching back! The unflavored has a very sour aftertaste because of the added Vitamin C, so it is best mixed with a little bit of juice, Propel, etc and shoot it. Flavor aside I have used it a few weeks and have had no changes, or at least nothing noticeable. 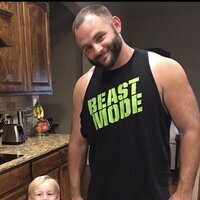 No increase in endurance or energy, strength, etc. The positive is I haven't gained weight from water retention like with other creatine products. I won't use again. I don't know if I'm naive but I assumed Unflavored meant it had little to no flavor. I couldn't have been more wrong. CRTN-3 Unflavored tasted terrible. I tried mixing it with their pre (which is delicious) & their protein (also delicious) but each time, I had to gag it down. I ended up just throwing it away. The other flavors of CRTN-3 might be good but I won't be ordering this again. First time using any creatine type product and so far so good. Let me start off with the taste it very good, I have been drinking the product first thing in the morning as soon as I wake up as recommended. I feel more pump, more energy, more endurance and feel my muscles getting bigger and fuller every time I finish my routine. I really recommend this product. wooow... 3 of the best proven creatine . started using this since 2 weeks now and does saw a great result with it . Works great with no overwhelming energy or crash. I bought the unflavored one by accident and it has a terrible aftertaste since i done mix itvwith anything else. . I will be purchasing a flavored one in the future. Probably my favorite Muscle Beach product so far!! 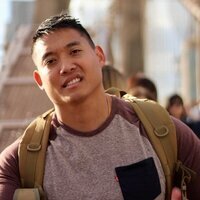 Endurance is up within a few days (no loading needed) and I've already put on lean muscle. Creatine has always been my go to but this is on a whole new level!!!!!! Man oh man, no preload! Flavor is pretty ok, still a little gritty despite my best shake ability but the way I feel every morning, it's awesome. 5 Calories per serving ensures I'm not breaking my intermittent fasting so thats a huge plus. I love this stuff. Feel like the energizer bunny after I started this stuff. I definitely noticed results within a week of taking this stuff. Way better than your typical Creatine. Just a warning though on the unflavored version. It has a awful taste and texture to it. But I will definitely buy more. Yep. This is the stuff I've been searching for since the 80's. I think. I feel really good, and I think this concoction has a lot to do with it. However, I also take CLA, L-Carnitine, Z-Core, Purus Everyday Amino's, and my fair share of Combat. Who knows?? I mix a scoop with my Pre-Train! It’s the perfect combo. 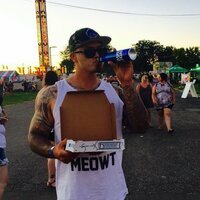 I Feel like my strength has increased as well. Been running this for a few weeks and love it. The flavor is pretty spot on as well. I have the orange wave. I’m anxious to continue running it in my supplement stack! 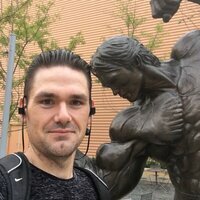 Somewhat new to the world of creatine but have definitely noticed an increase in my training and have been getting stronger. This mixes so much better then others and the orange is easy to sip on. Polydextrose, Citric Acid, Natural &Artificial Flavors, Silicon Dioxide, Sucralose, Ace K, FD&C Yellow #5, FD&C Red #40. Directions For CRTN-3: Mix 1 level scoop in 6-8 oz water once daily, preferably in the morning. NO LOADING PHASE IS REQUIRED. Warnings: Use only as directed. This product is for use by healthy adults only and not to be sold to or used by anyone under age 18. DO NOT USE if you are pregnant, expect to become pregnant, or are nursing. Consult a physician before using this or any dietary supplement or before starting any diet or exercise program. CONSULT A PHYSICIAN BEFORE USE if you have been treated for, diagnosed with, or have a family history of any medical condition, are taking any prescription or over-the-counter drug, including but not limited to antidepressants (such as MAO inhibitors), stimulants, allergy medications, anti-hypertensive drugs, medications for other cardiovascular conditions (such as blood thinners), or medications that may negatively interact with increased dietary nitrate intake. DO NOT USE if you are taking nitrates for chest pain, medications for erectile dysfunction (such as PDE-5 inhibitors), or another nitrate-containing dietary supplement. DO NOT USE if you are allergic to coconuts. IMMEDIATELY DISCONTINUE USE and call physician if you experience any adverse reaction. Discontinue use two weeks prior to surgery. KEEP OUT OF REACH OF CHILDREN. Store in a cool, dry place away from sunlight, moisture, and heat. Always keep tightly sealed. Do not use if safety seal is broken, missing, or has been tampered with.